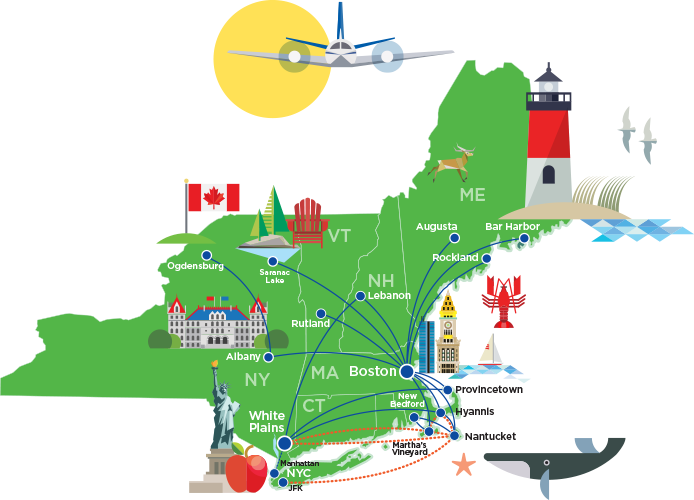 The small regional US airline, Cape Air has announced an impressive move that will see one of the smallest commercial aircraft flying into the mega busy New York city airport of John F Kennedy on a scheduled basis. The airline will start offering seasonal service between Nantucket Memorial Airport and Barnstable Municipal Airport to New York JFK on a daily basis. The airline announced that the daily round-trip will be scheduled from 23rd October this year and run all the way through to mid-May, 2019. Passengers will be able to embark from either Hyannis or Nantucket for travel to New York City. The daily roundtrip service will be operated by Cape Air’s Cessna 402 aircraft, which carried up to nine passengers and will be one of the smallest commercial aircraft to ever use JFK on a schedule flight basis. The aircraft will use Terminal 5 at JFK which means easy connections are possible with one of Cape Air's partners, JetBlue. Cape Air has agreements with most major carriers making travel through JFK simple with baggage check-through and a single itinerary.